Last Wednesday, October 26th, 2011, OLAS (Orgullo Latino Association) and Crossroads held a workshop at the International Center kitchen and lounge. 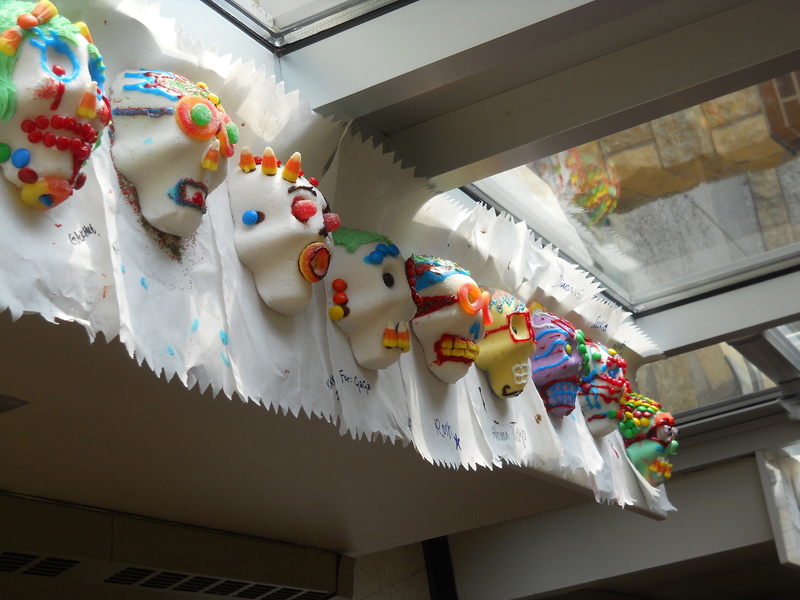 Students, faculty and staff were invited to decorate a sugar skull, a Mexican tradition that is part of the Day of the Dead celebration. Bowls of M & M’s, cinnamon sweets, gum drops and colorful icing where spread out on large tables. There was Latin music playing, students chatting and cutting papel picado, a popular Mexican festive decoration. All skull were entered into an annual contest. The results of the contest are yet to be announced. If you missed it this year, make sure you participate next year! In November, OLAS plans to visit local day cares and preeschools in St. Peter to teach children about the Day of the Dead. They will take several skulls for kids to decorate and display.